Adding a sensor or touchscreen to just about any product has become cheap and straightforward, opening up a whole new world of possibilities. But experience has shown that most of those possibilities make things worse, not better for the user. Just as digital designers learned that less is more when designing apps and software, industrial designers are gaining an understanding of what not to do when adding digital intelligence to products. This is true of the range of digital-physical products, from Internet of Things devices (those with Internet connectivity) to those that lack WiFi. 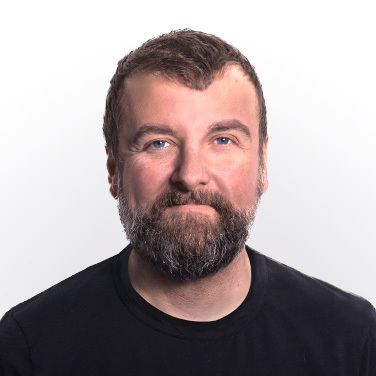 A lack of web connectivity doesn’t necessarily make a product easy to design. The digital-physical product design category offers a bewildering array of interactions and affordances, from ambient feedback and gestural interfaces to voice control and predictive algorithms. The real problem for designers of these products is the increasing number of options for solving what is, at its core, an interaction problem: How is the user inputting information, and how are they getting feedback from the system? 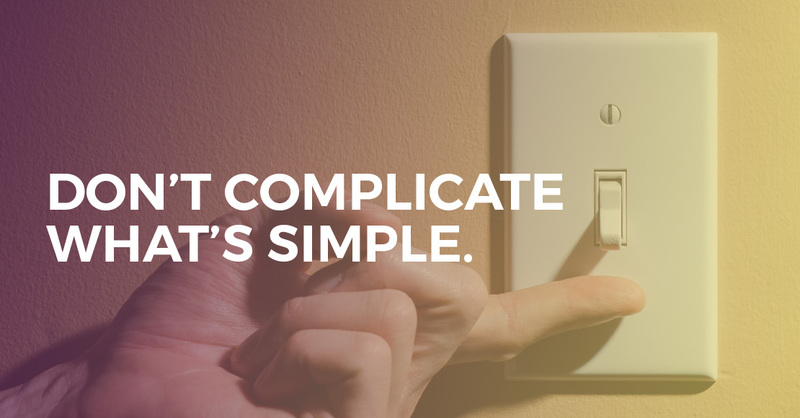 1: Don’t complicate what’s simple. The Hue smart lighting system by Philips is one of the best and worst examples of digital-physical design I can think of. It adds tremendous flexibility and control to home lighting, in terms of brightness, color, and schedule control, but it also takes a formerly simple task — flipping on a light switch — and complicates it. Physical actions are inherently straightforward because they’re so direct: opening a door, turning a knob, flipping a switch. Once we add digital control, though, the default is something much more abstract, like using a touchscreen or voice control. Hue is frustrating because it fails to “re-simplify” basic interactions like turning on the lights. 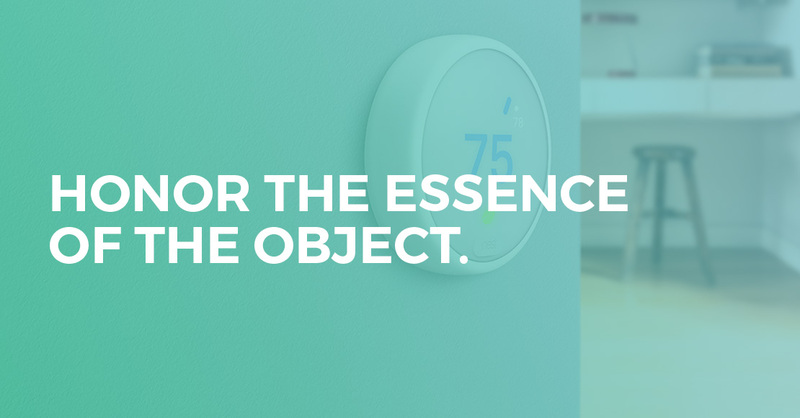 Instead it forces users to find their smart device and bring up the Hue app to complete a task that was once obvious and direct. IN SHORT: When designing digital-physical products, set aside time to re-simplify any interactions that have been complicated by the addition of a digital component. 2: Honor the essence of the object. Physical products are often iconic, because form is so closely related to function: a car needs four wheels, a lamp needs a base and a shade, a knife needs a handle and a blade. Digital intelligence offers the possibility of replacing these iconic forms with something more generic, like a touchscreen or a series of buttons and indicators. But such interfaces are blank slates, and resorting to them removes an important cognitive signifier that users have come to rely on. The best digital-physical products add intelligence while still holding onto their physical essence. The Nest smart thermostat is an excellent example, referencing the circular form of the classic Honeywell dial thermostat, while adding tremendous digital capability. It even uses a rotary motion for basic tasks like setting baseline temperature, in a nod to the interactions users have already come to expect. IN SHORT: Nearly every physical product offers the potential to add intelligence while holding onto its singular character. There’s no excuse for making everything a touchscreen. 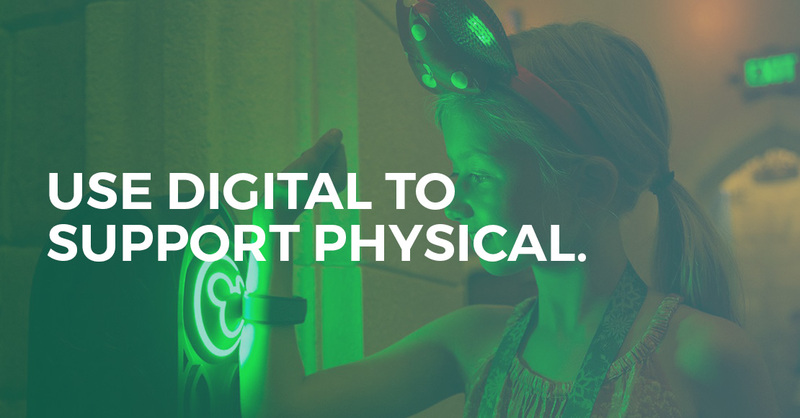 3: Use digital to support physical. Honoring a product’s physical aspects goes beyond just respecting its form factor. In a more general sense, we need to let physical aspects of a product’s function take precedence, and use digital as way of supporting those aspects, not replacing them. Amazon offers a good example here, with its smartphone app that allows users to scan products in the real world and then look them up. It would’ve been easy to create an app with no connection to the physical world — Amazon’s entire business model is built on replacing brick-and-mortar — yet they’ve embraced our existing penchant for real-world shopping in several ways. Today, a shopper can go to a physical store, scan a real product, and instantly see how much it costs on Amazon, and how soon at can be delivered. This could feel dangerous, encouraging customers to go into competing retail environments, but it also respects our habits and bias toward the physical, augmenting them rather than replacing them. This is also why Amazon has dipped its toes into brick-and-mortar shopping from time to time, with decent results. IN SHORT: Remember, nobody wants an interaction to be replaced by an app. 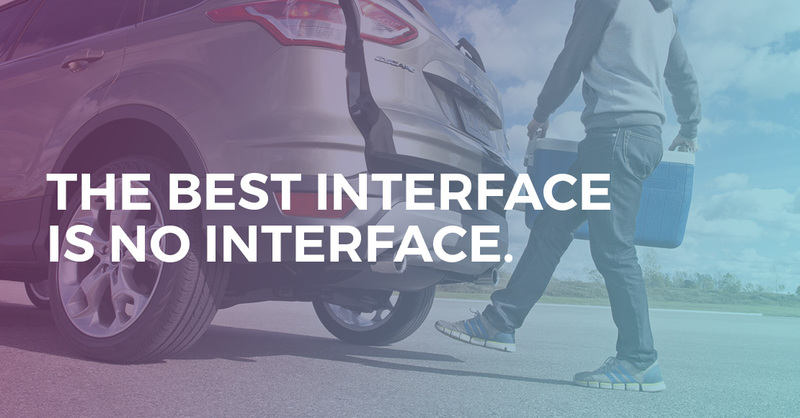 The best way to add intelligence is to start where the user already is, and make a familiar physical experience more satisfying and flexible. “Ambient” feedback means conveying information without demanding a lot of attention — in the IxD world, we often call this a “glanceable” interface. The line of medical lab equipment we designed for BD Diagnostics, for example, builds status indicators into ambient lighting. Since many lab processes take hours to complete, it’s useful to know at a glance whether one is completed or not. By making the lighting within cabinets multi-color, a lab tech instantly knows where things stand without having to cross the room. With digital-physical devices, we have an opportunity to make actions and inputs ambient, as well, by designing them to be so casual, they hardly count as interactions at all. A great example is the foot-operated tailgates on newer SUVs. We often have our hands full when opening a tailgate, but our feet are free. Attentive designers recognized this, saw the potential in high-quality, low-cost motion sensors, and combined the two. Voila, the clumsy fumbling for a key fob or door handle while juggling two bags of groceries is replaced by a subtle sweep of the foot. IN SHORT: The screen-based, GUI world that we’ve been living in for the past few decades doesn’t work well when we’re constantly connected. Design ambient interactions to help people more easily achieve the results they desire. *Author and designer, Golden Krishna, explains this concept in detail in his book, The Best Interface Is No Interface. It’s also useful to draw interaction principles from the natural world. We all grow up in a universe where gravity pulls things down, heat increases as you approach its source, and objects vibrate when struck — among thousands of other instantly recognizable natural phenomena. Creating digital interactions that mimic these kinds of relationships makes them more understandable, and ultimately, more satisfying. Consider, for example, the touchless faucet, certainly one of the most irritating smart devices out there. 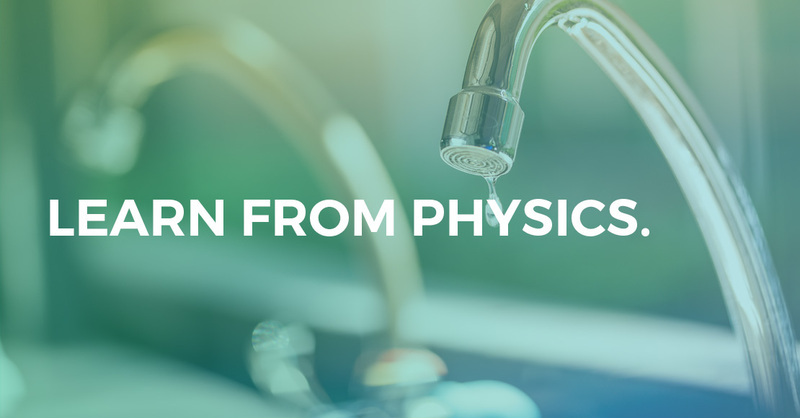 Instead of it clicking abruptly on and off when your hand enters an ill-defined active zone, imagine if it began trickling water as you approached it, and increased to a full flow when your hand was directly underneath. This kind of interface references many real-world physical interactions, like a sound that gets louder as you get closer, and it makes a sometimes infuriating interaction predictable, intuitive, and even a bit magical. IN SHORT: Look to the natural world to create familiar digital interactions that mimic instantly recognizable natural phenomena. 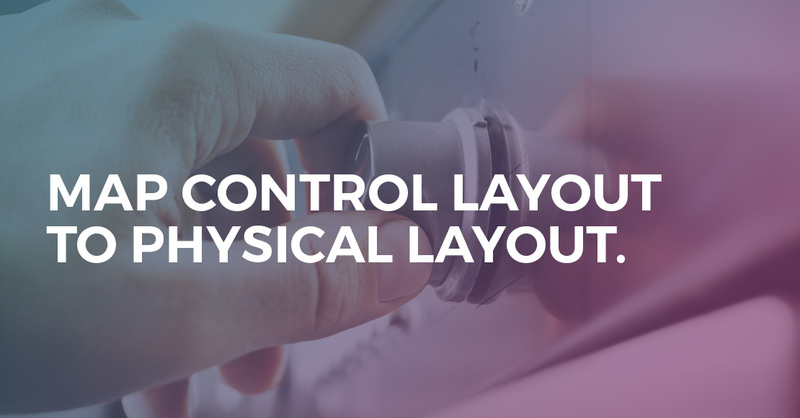 6: Map control layout to physical layout. Samsung’s line of induction cooktops features a few details that ease the transition to an unfamiliar technology. A ring of LEDs around each burner simulates the familiar blue of a gas jet on a traditional stove. And the control panel uses buttons laid out in the same pattern as the burners they control. Well-designed electric stoves have been doing this for years, of course, but the principle is evergreen: when a digital interface references a physical entity, strive to make them match. This can play out in interesting ways. A recent medical project we worked on included an interface that directed medical professionals to draw a donor’s blood from a particular arm. Rather than try and sort out whose “right” and “left” the interface was referencing verbally, we used an icon within the interface that showed a patient with the correct arm clearly indicated visually. There’s nothing wrong with using words, of course, and in some interfaces they’re the best option, but when you’re referencing the physical world, a visual representation is usually the right approach. IN SHORT: When a digital interface references a physical entity, strive to make them match. 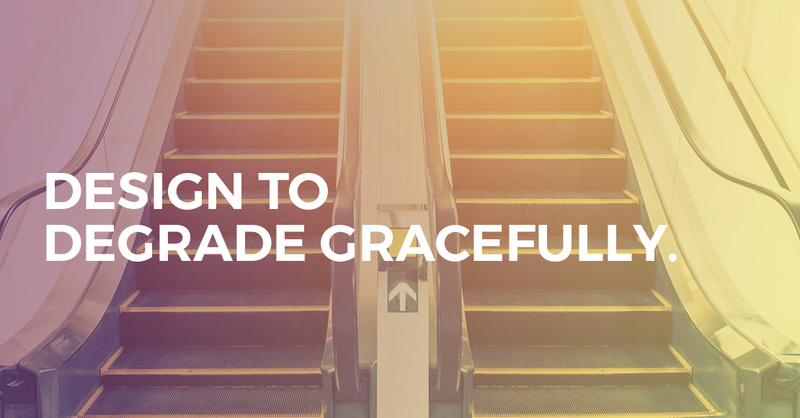 7: Design to degrade gracefully. Products break — there’s no way around this. But when those products are digital-physical, they can break in many ways. One of the great criticisms of the Philips Hue lighting system is that it can plunge your home into darkness if the app doesn’t work right, or worse, bathe your bedroom in blinding light at 2 am. There are some reasonable technical explanations for why this happens, but at the end of the day, it’s because the designers failed to plan for failure. There’s a great routine by the late stand-up comic Mitch Hedberg in which he describes how he loves escalators, because they can’t really break, only become slightly less useful. “You’ll never see an ‘Escalator Out of Order’ sign,” he explains, “only ‘Escalator Temporarily Stairs. Sorry for the convenience.” Designers should strive for this kind of graceful degradation, with products that offer secondary and tertiary modes that still function even when the power goes out or the sensor stops working. This, along with the principles above, is why physical interaction should still take primacy in digital-physical products where possible: physical actions don’t die when the batteries do. IN SHORT: Design products that offer secondary and tertiary modes that still function even when the power goes out or the sensor stops working. In the modern technology landscape, the temptation to add complexity is strong, but good design often depends on fighting that temptation. Designers tend to think optimistically when we work, and so we overestimate our users’ desire to interface with the things we’ve designed. At the end of the day, people just want to turn the lights on, so before you get wrapped up in giving people more than they want, try to focus on giving them what they need. 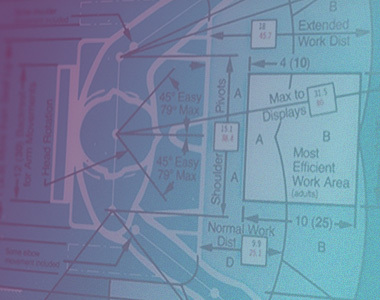 Learn about our Digital-Physical Design process.